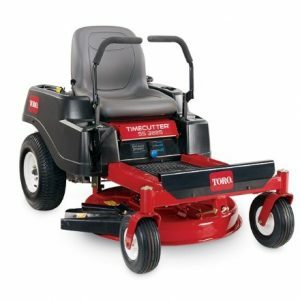 The Toro Timecutter HD X5450 features a 54″ (137cm) fabricated mower deck, standard on commercial mowers fabricated decks are much strong than the stamped versions found on typical residential ride-on mowers. 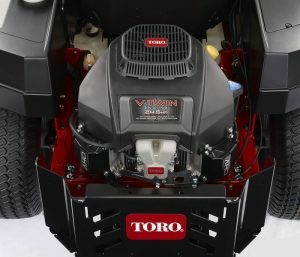 Made from 10 gauge steel plate and featuring a bull-nose bumper and welded wear plates this mower deck is built to last. 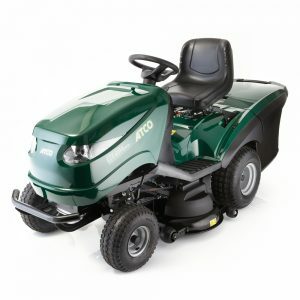 Power comes from a dependable twin cylinder 18.2 kW (24.5 hp) Toro 708 cc engine which features a two stage air filter, cast iron cylinder liners and pressurised lubrication with an external oil filter. 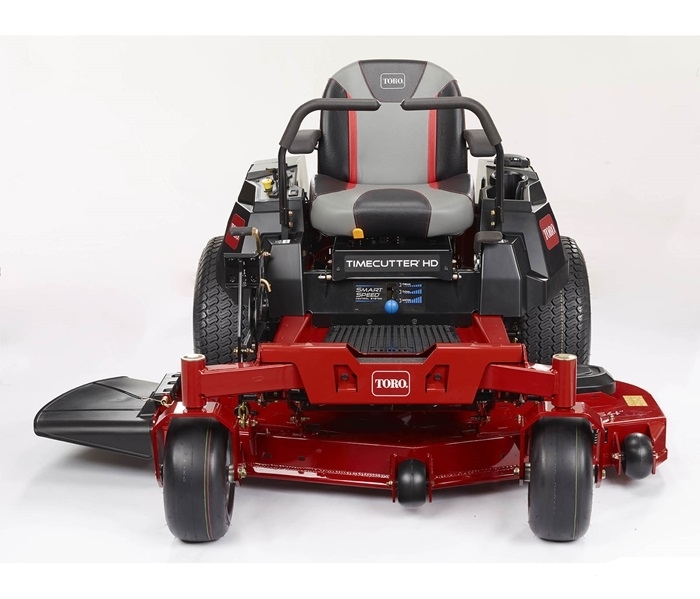 The premium seating on the Timecutter HD is truly a leader in comfort. 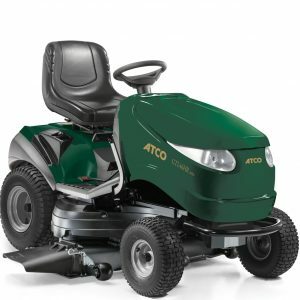 The extra thick seat foam is contoured to envelope the operator and help hold you in place when traversing rough terrain. The seat is further cushioned by a unique adjustable seat spring suspension allowing you to have anywhere from 2 to 5 springs underneath the seat to give you customized support. 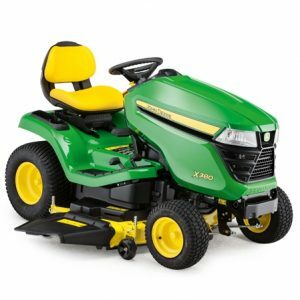 A four-inch (10.2 cm) seat slide is adjustable while seated to help give you just the right fit. 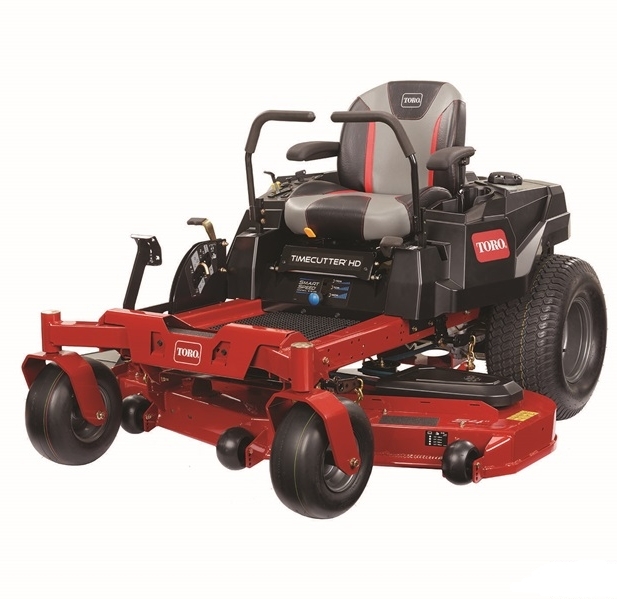 Adjustable armrests and retractable seat belt come standard. 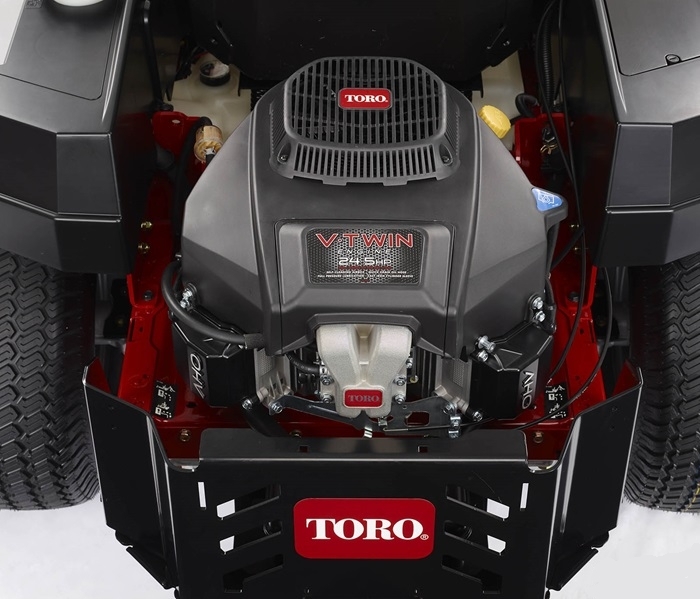 Toro’s Recycler technology always gives your lawn a superior quality of cut and ensures the clippings are muclhed within the cutter deck and dispersed evenly to leave a tidy, healthy lawn with the minumum of effort on your part. For tackling long, over grown areas the Recycler baffles can be removed so the clippings are ejected from the side of the cutter deck.